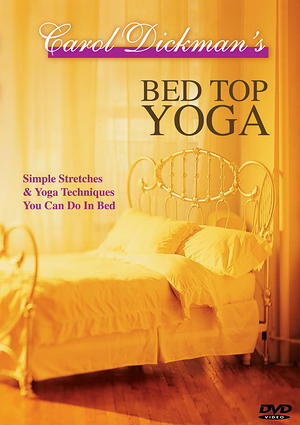 Award-winning Bed Top Yoga has been cited by Yoga Journal Magazine as "having a cult following of former insomniacs." Shown in hospitals on their in-house TV systems, it offers a beginner's program of simple stretches, breathing exercises, yoga postures and a relaxation—all done lying down on the back. Well-suited for seniors, the physically challenged, the blind—and for anyone regardless of age—wanting gentle exercise. Bed Top Yoga was featured on NBC’S TODAY Show and The Home Shopping Network.